phrase. Short section of music of a musical composition into which the music, whether vocal or instrumental, seems naturally to fall. Sometimes this is 4 measures, but shorter and longer phrases occur. It is an inexact term: sometimes a phrase may be contained within one breath, and sometimes sub-divisions may be marked. In notation, phrase-marks are the slurs placed over or under the notes as a hint of their proper puntutation in performance. The art of phrasing by a performer is often instinctive and is one of the features by which a supreme artist may be distinguished from one of lesser inspiration, whether singer or instrumentalist. “the music seems naturally to fall” – music and the human body are very connected. Vocal music follows many physiological requirements such as phrase length not exceeding what the lungs can handle. “it is an inexact term” – music can be abstract and there is often more than one correct answer to a phasing question. You might get different teachers telling you to phrase differently. Just remember, you are dealing with the expression of ideas. Ideas change and are interpreted in different ways. “is often instinctive” – Listen to lots of music in the genre or era you are studying. Also, go to concerts and see how the pros pull off phrasing. You need to absorb the lessons of performance. Studying theory, history, and musicianship in a class or with a teacher can certainly help. Regardless, you need to gain enough experience so you can understand, as well as feel, the phrasing. If there is a singable melody (something you might hum to yourself after hearing it) the place where you take a breath is often the end of a phrase. This is not always true but can nevertheless be helpful. This is a very general suggestion so you need to think logically about the music. However, singing the phase is often the best way to determine the phasing. A great way to understand phrasing is to study vocal music. You can study art songs, operas, or even pop songs like the Beatles. The lyrics in vocal music can really help you understand phrasing. The natural punctuation of the sentence structure (of the words) will often determine the phrase. Periods, commas, and semi-colons usually correspond with the phasing. However, without lyrics it can sometime be difficult to determine a phrase. Since phrases can have smaller ideas embedding into them it can sometimes be difficult to understand the phrase as a whole as well. Nevertheless, composers often want to be clear about their ideas so it’s all about understanding the gesture. Musical gestures indicate a feeling, idea, or direction in the music. Gestures are very similar to phrases. This is helpful because not all works of music have ultra clear phasing. A gesture indicates some kind of meaning. For example, let’s say you see someone across the street and wave to them with a smile on your face. This indicates that you are signaling hello and good will. Musical gestures are similar, they have character and meaning – even if you can’t express that meaning in words. The most important thing is to make the meaning of a gesture clear. Is it happy? Sad? Aggressive? Passive? It is a small idea unto itself or is it part of a larger idea? Is the phrase or gesture clear? All music has phrases, gestures, and musical direction. By musical direction I mean that the music leads somewhere. Sometimes it will take you forward with excitement or it might creep along feeling static. Some works may try to avoid traditional phases and gestures, but that is a gesture unto itself. I find the best thing to do is to mark the phrasing on the page with a pencil (you may want to use different colors to indicate ‘micro-phrases’ within larger ones). At the very least (even if you determined the phrase incorrectly) you will have a clear musical idea to express when you play it. Audiences, especially non-musicians, need your gestures (both physically with your body, and musically with the sound) in order to make sense of what is happening in music. It also helps audiences to understand the ideas and forms that might be present. A good example of this is the idea of a musical conversation in an ensemble. When two musicians pass a musical line back and forth from one person to the other the analogy to speaking in a conversation is relatable to everyone. It’s important to make sure the audience understands that the music is similar to a conversation or, at times, an augment. Music is a language, and even non-musicians can understand the ideas of a language they don’t understand. If you’ve travelled anywhere where you can’t speak the language you’ll know that basic ideas can be communicated easily. Thanking someone with a smile, handshake, or bow, is rarely misunderstood. So translate your phrases and gestures into something everyone can understand. However, don’t go too far so that you obscure other important musical elements. 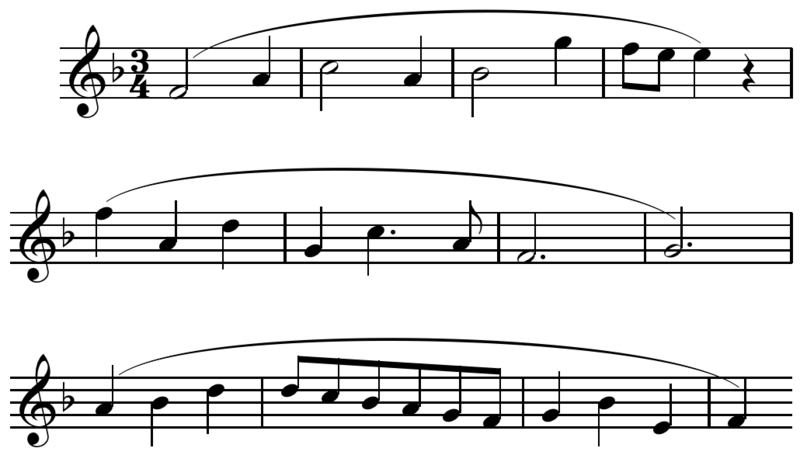 In tonal music, phrases are often marked by a cadence of some sort. Cadences are a melodic or harmonic element that creates a sense of resolution, sometimes one of finality, pause, or anticipation. Music theory can sometimes help you understand if your phrasing is correct or not. There are also many terms and traditional ways of phrasing that are important such as symmetrical phrasing, periods, and more. Being able to spot these conventions will be helpful in understanding the composition. There are often many clues that the composer has indicated so try to build an understanding of the musical conventions. Remember the musical context of the piece you are playing. Music can sometimes be packed full of ideas so don’t let these ideas about phrasing distract you too much. For example, in Baroque music (and other genres and eras) it is common to see a motif (a small musical idea) get used continuously again and again. This is sometimes in the form of a sequence (repeated continuously but with different pitches), or sometimes it is imitative (passed among the voices). My point is that if you try to make every little idea, gesture, and phrase a special moment the form of the larger work can be lost. For example, don’t disrupt the rhythm of a dance because you are trying to make each phrase super special. 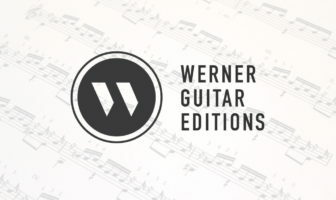 What are your ideas about phrasing? Leave a comment below.